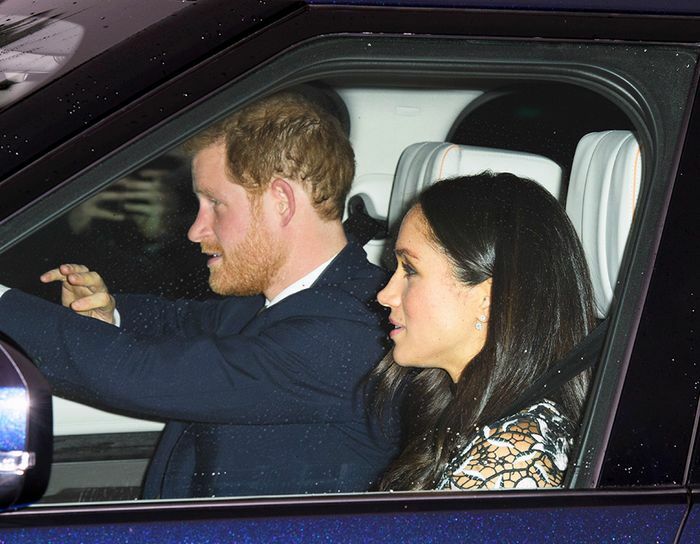 We only got a glimpse of Meghan Markle and Prince Harry arriving at Buckingham Palace today for the Queen's annual pre-Christmas lunch, but it didn't take long for word to spread about the pretty dress the soon-to-be Royal chose for the special occasion. Fittingly, Markle went with a black lace midi dress by the British brand Self-Portrait, a favorite brand of Pippa Middleton (remember her chic naked dress this summer?) and a slew of other British and American girls. Self-Portrait is known for doing the tastefully-sheer look very well, and we fully expect Markle to continue to wear the brand. The flattering fit-and-flare dress, which was marked down to $241, has since sold out, but if you love the look of Markle's Christmas dress but missed out, don't worry—Self-Portrait has plenty of in-stock options that perfectly channel the world's most famous bride-to-be. Get a glimpse of Markle's dress, then shop similar styles below. 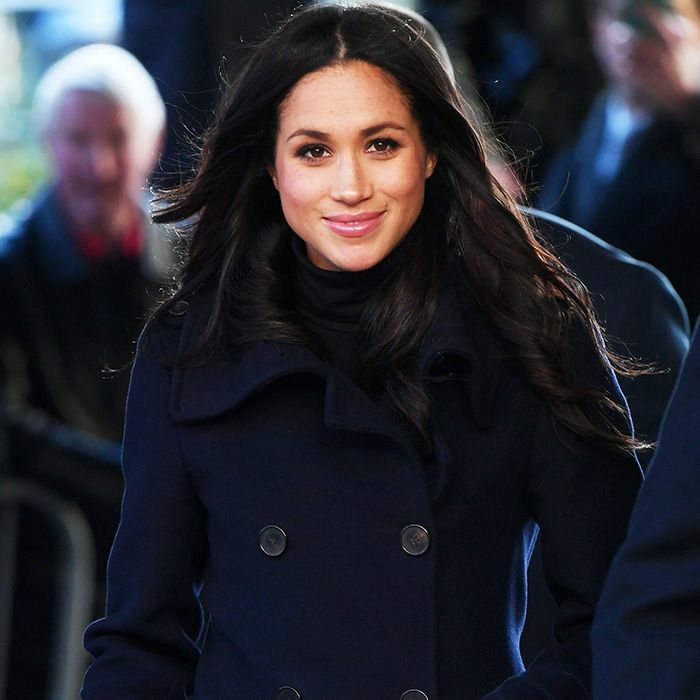 Next up, check out Meghan Markle's best outfits to date.